Information coming from the home of Sharia in Nigeria, Zamfara State, is troubling to say the least. At least 25 persons were killed again on Saturday night when gunmen stormed three communities. 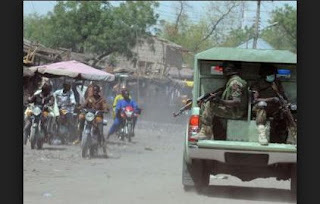 The lawmaker representing Zurmi West in Zamfara House of Assembly, Yusuf Moriki, told NAN that the incident occurred at Dole, Tudun Bugaje, Kwangwami communities in Zurmi LGA. » Alleged Boko Haram Member talks to CBS News, Warns of Another Mass Kidnapping In Nigeria.